Singapore-based LifeSight, an artificial intelligence-powered location intelligence platform, has raised $2 million (Rs 13.5 crore) in a pre-Series A round led by the shareholders of Indonesia-based investment firm Provident Capital Partners, a company statement said. The firm will use the funds to grow its engineering and data science capabilities at its Bengaluru development centre and to expand into other Asian markets over the next two years, the statement added. Run by LifeSight Pte. Ltd, the firm was founded in September 2017 by Rohit Maheswaran and Tobin Thomas. Prior to setting up LifeSight, Maheswaran was the chief creative officer at UK-based mobile tech firm Bluestone Media, while Thomas led sales and operations at now-defunct Malaysia-based e-commerce firm AskMe. Through its software-as-a-service offering, LifeSight helps brands, retailers and agencies reach offline consumers, optimise media spend and make better business decisions. It also helps marketers use proprietary data sets to target, understand and measure consumers with their geo-behavioural AI platform. “As long-time players of the APAC marketing and advertising industry, my peers and I often deliberated about the disjointed manner in which digital ads were being served, the outdated attribution models, and the missed opportunity for ethical, opt-in location intelligence to guide business decisions in this region. So we created LifeSight with the core aim of democratizing location intelligence with an easy to use SaaS platform,” Thomas said in the statement. Since its commercial launch three months ago, the firm claims to have built a strong presence in Singapore, Malaysia, India, and Indonesia. Through location intelligence, companies can derive business insights and decisions from geospatial data. Some players in the global location intelligence market include tech giants such as IBM, Pitney Bowes, Teradata, and SAP as well as niche companies like PlaceIQ, Cuebiq and Placed, all which are based in the US. Provident Capital invests in firms across industries such as telecommunications, infrastructure, mining, real estate, plantation and biofuels. Its businesses are mostly concentrated in Indonesia. The investment firm’s portfolio comprises companies like e-commerce platform JD.id, which is a joint venture with China's JD.com; Indonesian telecom giant Tower Bersama Group; and mining company Merdeka Copper Gold, to name a few. Other startups that offer location-based services operate in segments such as logistics, events, and more. These include HyperTrack Inc., a US- and India-based startup, which allows users to track their products in real time. The startup had raised Series A funds from Nexus Venture Partners and Founders Fund in June last year. Founders Fund—known for backing companies such as Elon Musk-led SpaceX, Facebook and Spotify in the past—invested in the startup from its FF Angel Fund. In April 2015, US- and India-based KeepTrax Inc. raised $1 million (Rs 6.25 crore) in seed funding led by Naya Ventures. The company’s platform converts people’s physical location visits into curated ‘event pins’ that digitally capture and organise details such as location name, address, dates, times, durations, photos, calendar and other context. This is done by using GPS and other mobile device sensors. 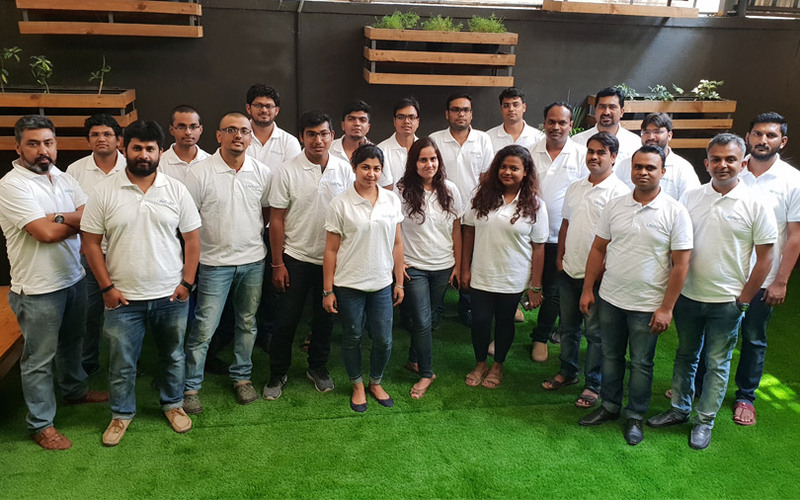 In October 2014, Bengaluru- and Singapore-based big data company AdNear secured $19 million in its Series B round of funding from Telstra Ventures and Global Brain Corp. Sequoia Capital and Canaan Partners had participated in the round. In 2015, AdNear rebranded itself to Near. It provides real-time information on places, people and products.